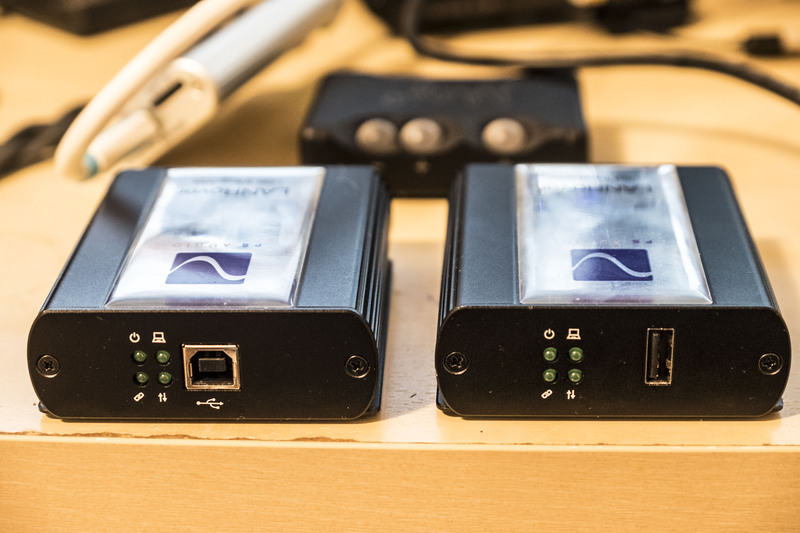 By now, you should know EMI/RFI is bad for audio and that quality power is very important. Glad we got that out of the way. There are plenty of power conditioning “plugs” in the market today. Some are filled with magnets, some with resonators, and some with noise-eating dwarfs. 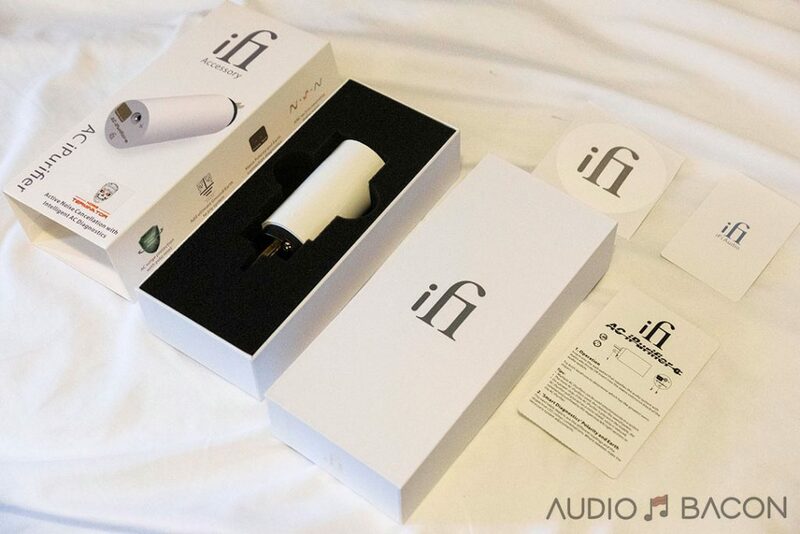 To my knowledge, the iFi AC iPurifier is the first active noise cancellation plug in the market. 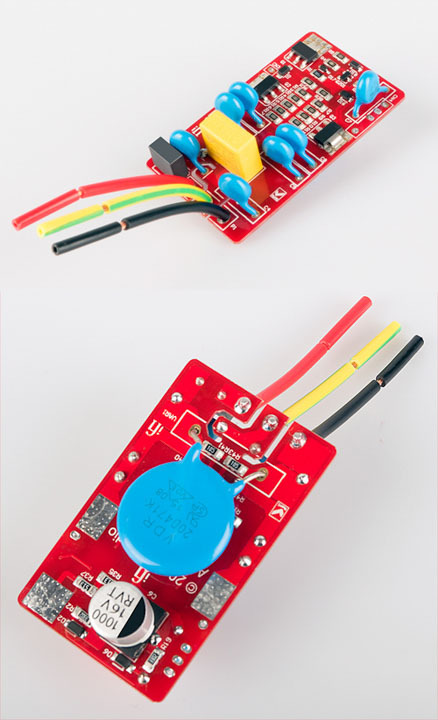 Here’s a look at one of the two circuit boards. There are 109 parts in the AC iPurifier. 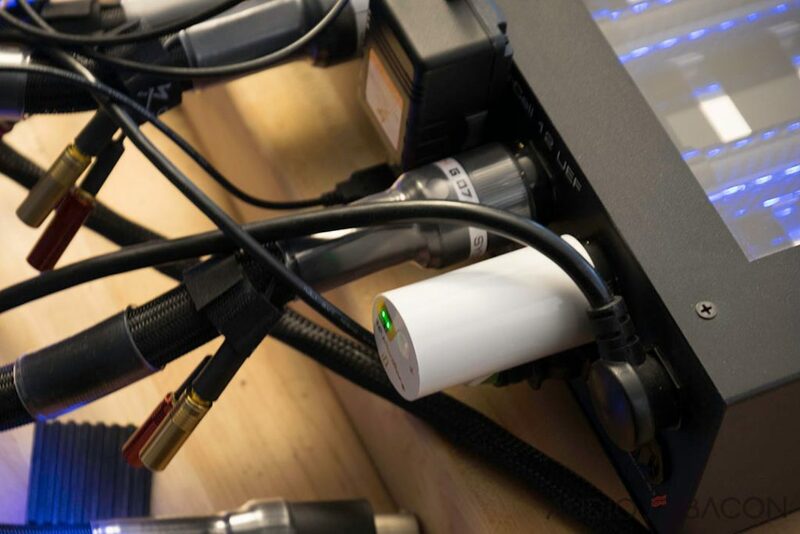 The mains power supply is the ‘gasoline’ that fuels an audio system. And, whether it is clean or contaminated, it has a material impact upon the quality/enjoyment of playback. 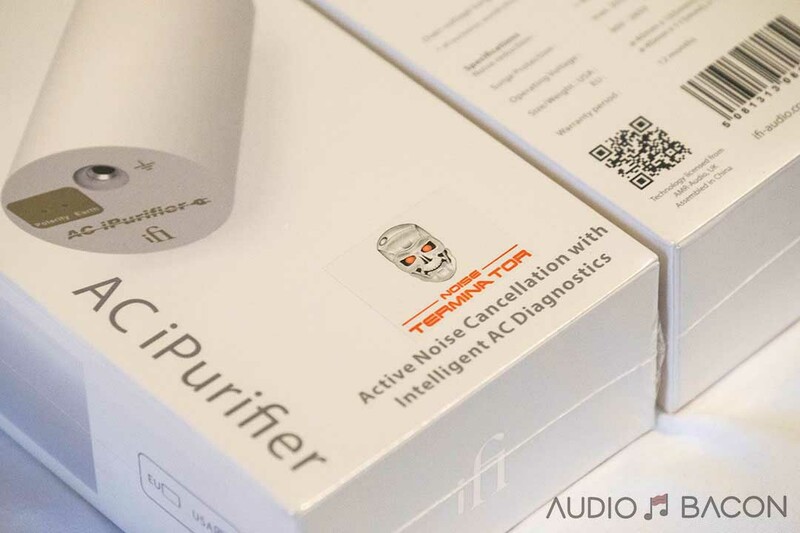 The AC iPurifier is the latest iFi product from the ‘power products’ stable to clean-up noisy mains supplies. The effective noise reduction difference is as different as night and day. ii. Effective across the frequency range. 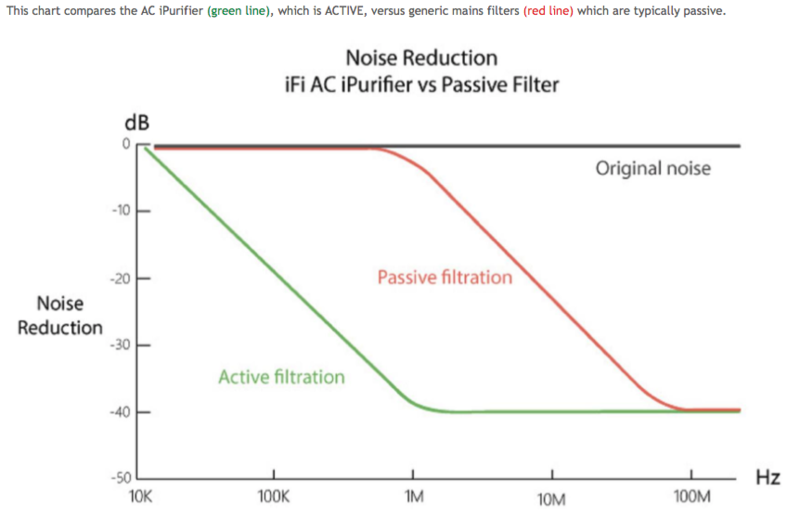 A passive purifier filters only in the very top-end of the frequency range. “Military Technology” – Most advanced noise-cancellation available…can’t help but to chuckle a little. For more details please refer to their in-depth product page. Some people have mentioned better picture quality and deeper blacks with these types of plugs. I’ve measured black levels with some of these plugs and saw no difference. I believe these differences people are seeing could be real just due to the amount of noise we’re surrounded with. But unlike audio, picture-quality isn’t as subjective. It’s something that could be measured accurately with a spectrophotometer and colorimeter. Deep dark red is, by definition, a certain digital value with a certain wavelength. In any case, if it alters your picture for the better, great. That said, nothing beats a proper calibration, especially with a 3D LUT color box that maps the proper colors before it even hits your TV. You would expect the Active Noise Cancellation feature of the AC iPurifier to have an easily noticeable effect on your audio system. You would be correct. After having tried the AC iPurifier in many different circuits, including public cafes, I heard a difference every time. They weren’t subtle. Even the random guy sipping on his cappuccino next to me heard the difference (and preferred having the AC iPurifier on the wall). 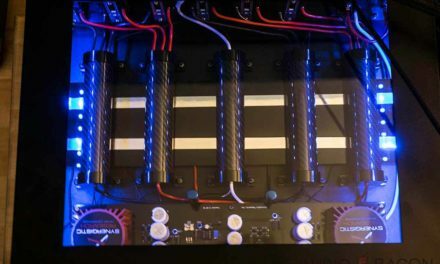 iFi suggests placing the first plug in your analog section, 2nd in your digital, and 3rd at your mains. Keep in mind, even if the iPurifer were plugged into a separate circuit in the same building, you’ll hear the iPurifier at work. I tried as many permutations I could with the two review units that were sent to me. 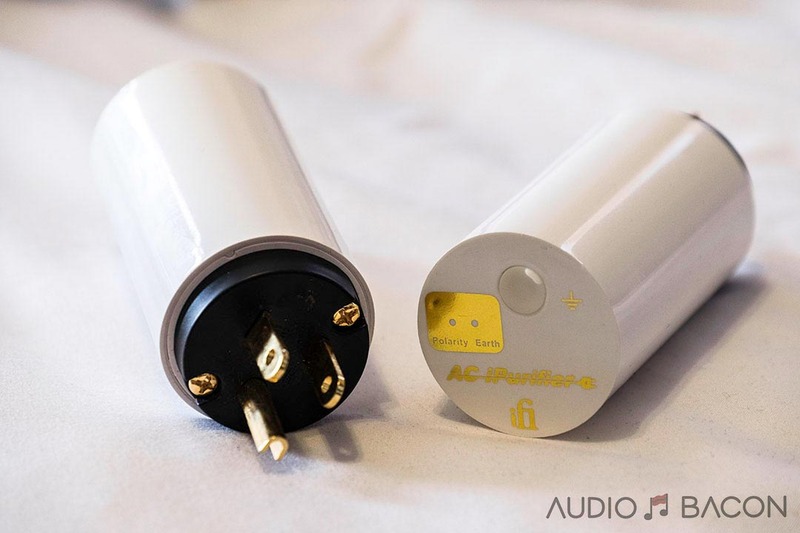 In every setup I’ve tried the AC iPurifier, one particular thing happens to the sound. It’s smoother. In my home theater system, I plugged one into my Furman Elite 15-PFi to hear what it does for 13 speakers. Once again, a much smoother, more relaxed sound. 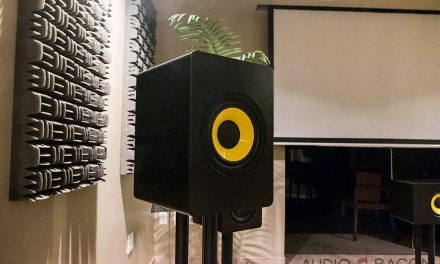 Some dynamics, textures, and atmospherics were exchanged for a more relaxed, fluid, and silky sound. I found it less engaging for action films but easier on the ears for RomComs and the like. When tested with a group of friends, we were about 50/50 on whether we liked the iPurifier plugged in. 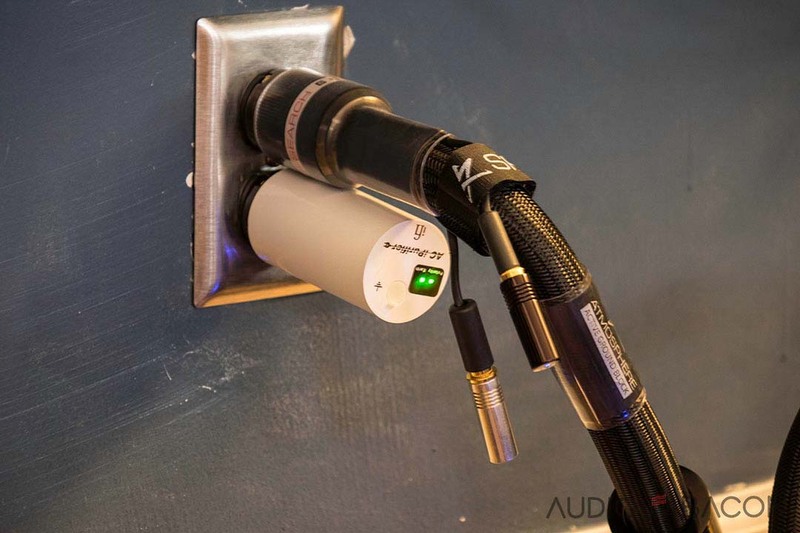 The AC iPurifier works its magic…even on a different circuit within the same home. Now with a power conditioner with both digital/analog sections. Using the iPurifier on the Synergistic Research PowerCell UEF 12 SE provided interesting results. Larger soundstage, quieter background, and more clarity/resolution. The one time the iFi wasn’t actually smoother but more refined. Smooth, warm, clean, and very coherent. It sounded great. A blend of texture and condensing. Acoustic reflections take a hit but no signs of digital grain. I see why iFi suggests placing them in this sequence. What’s interesting about these results is the fact that the power infrastructure in this system is top-grade to begin with. It’s becoming very clear the AC iPurifier could be very listener and system dependent. Some will enjoy the creamier and denser sound in some setups while some may prefer to keep the textural nuances with its accompanied grain. 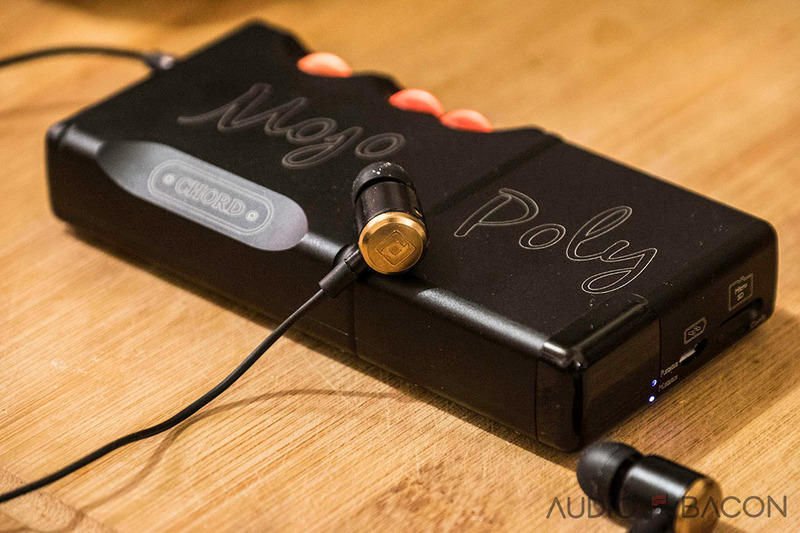 There are a few other “power plug” products aimed at improving sound and the ones I’ve tried are all passive. A highly recommended tweak that will tighten and clean up your sound. Its benefits are more immediate and obvious. Granted, it is triple the price of the AC iPurifier. I heard these at a show and was impressed by how much depth and clarity they exhibited. They’re recommended to be used in pairs. These worked incredibly well on a PS Audio P10 Power Plant (They improved depth about 3-4 feet). 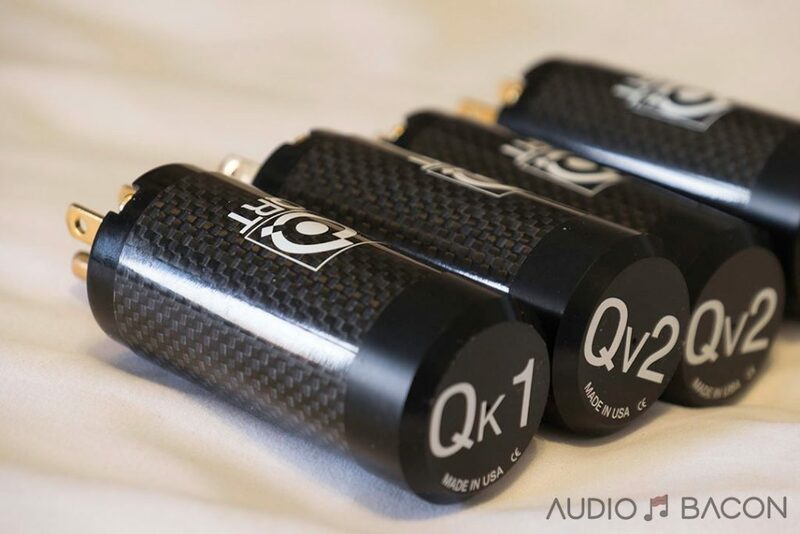 Using the Qv2 on my High Fidelity Cables MC-6, however, flattened/overly smooths the sound. All I heard was distortion and inaccurate timbre. The Qk1 displayed more detail, soundstage, quietness, and an “urgency” in the sound. Not bad but still a little artificial sounding. 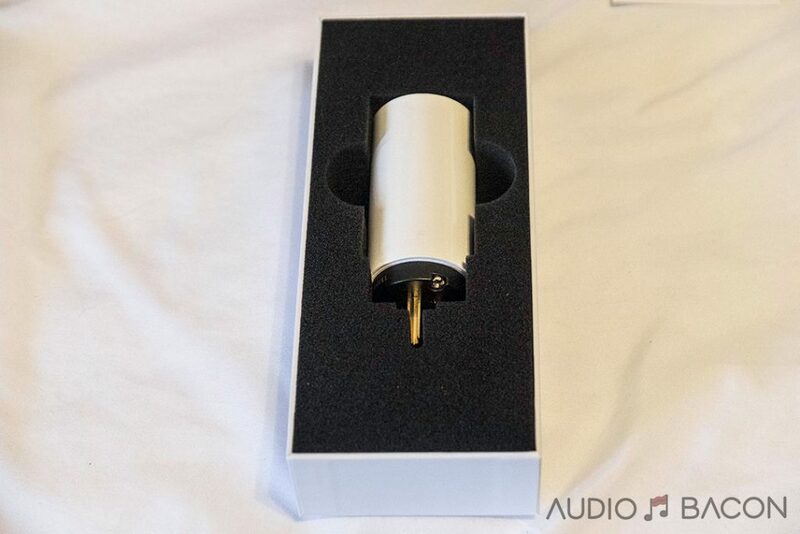 My conclusion – for best results, use these plugs in conjunction with the Nordost Qx2/4 and QBASE-Mark II to get the best results. 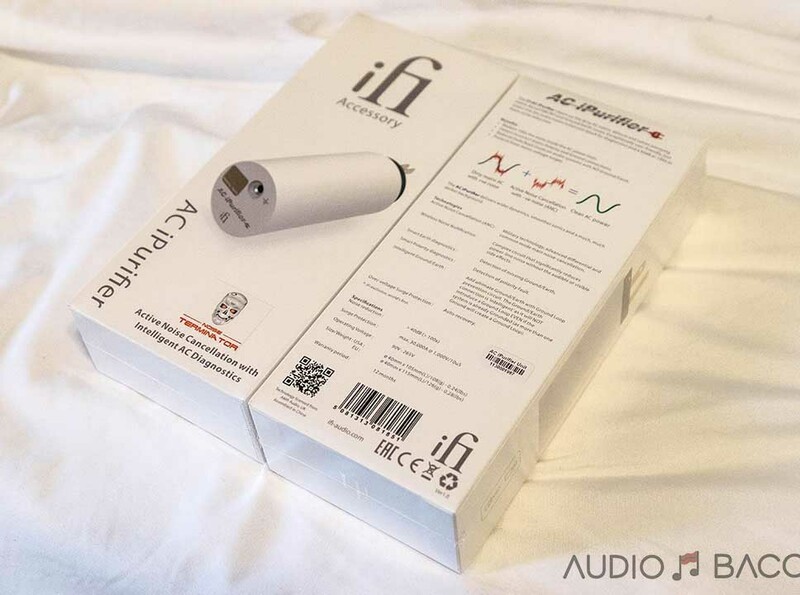 The iFi AC iPurifier does a wonderful job smoothing out any audible noise. If you’re hearing a hiss, edgy grain, or tonal inconsistencies in your system, I’m pretty sure the iPurifier will help unwrinkle the sound. 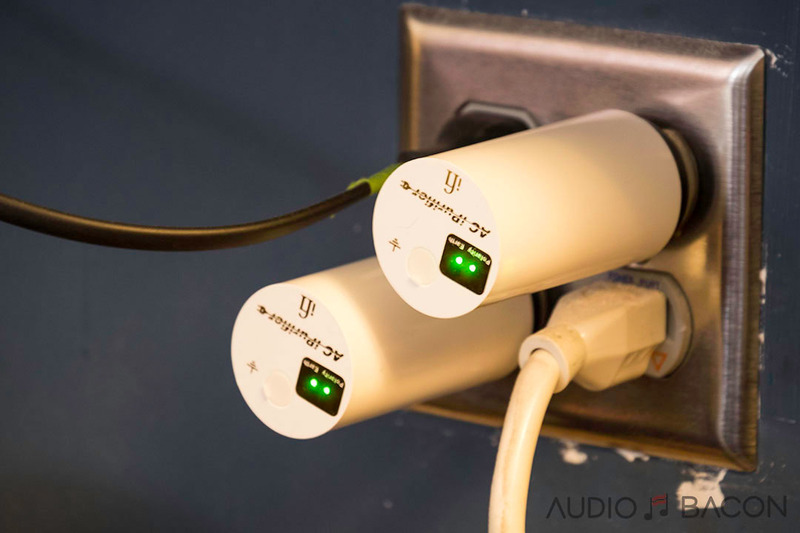 As the review suggests, how the iPurifier sounds depend on location and quantity. As a parallel to computer graphics, I feel the iFi AC iPurifier essentially performs “anti-aliasing” on your audio system. It presents a very full-bodied, creamy, and analog-sounding listening experience. The iFi AC iPurifier is an inexpensive and low-risk tweak at only $99. Especially for those with minimal power conditioning, it’s definitely worth a listen. These did nothing for my system, and two other basic systems. Hi and thank you. Where do you see the role for this compared to say the Gutwire Perfect cable? And which would be more effective for potential ground loops? Really happy with my first pair of Purifiers. The 1st one went in my computer room’s wall outlet and did surprisingly good job of reducing noise from routers, NAS, and switches. The 2nd Purifier was at the wall outlet in my main system. 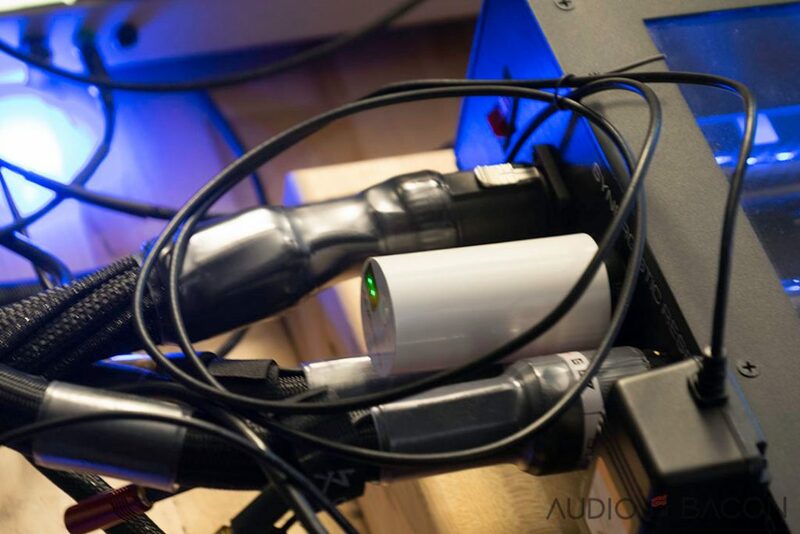 The combination made the sound smoother and more detailed. It was easier to hear background vocals, reverberations, etc. Mediocre digital recordings were more listenable. I already have dedicated AC lines, power conditioners, ground blocks, etc, but the inexpensive Purifier still made a significant improvement. I’m buying another pair for my home theater system. Thanks, trusted you, bought the iFi. It’s my first power tweak. The iFi really makes a difference in my Job INTegrated and ultraRendu streaming set up.